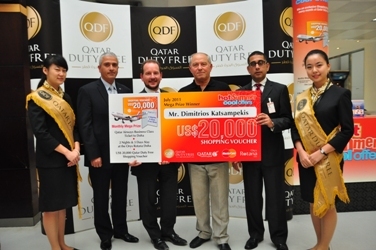 Doha, QATAR – Qatar Duty Free, a subsidiary of Qatar Airways, flew in Greek national Mr Dimitrious Katsampekis for a whistle-stop shopping trip to Doha to pick up and spend his US$20,000 won in the operator’s July Mega Prize draw at Doha International Airport. Mr Katsampekis, who won his prize during a stopover in Doha, flew back on Qatar Airways, courtesy of Qatar Duty Free, to claim his winnings. The Mega Draw, jointly sponsored by Qatar Airways-owned Oryx Rotana Hotel in Doha, saw the winner stay at the property for two nights before boarding his flight back to Athens with his shopping spree. The winner of the Mega Prize for August was Doha resident, Mr Raed Hassan. 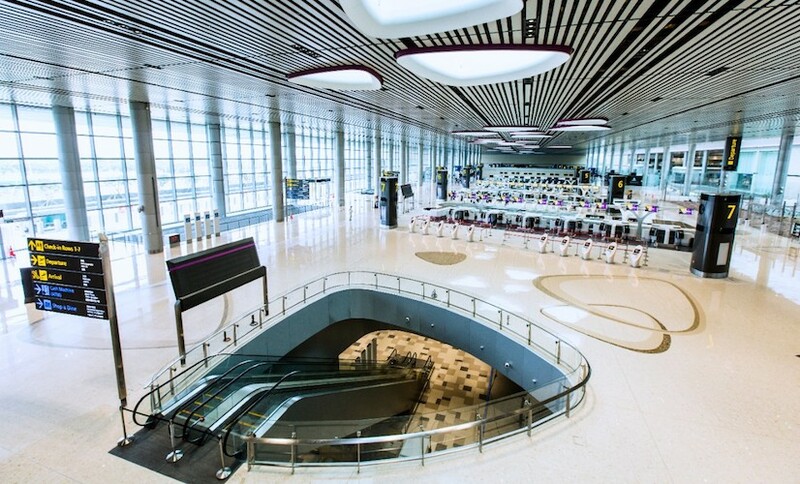 Until 30 September 2011, Qatar Duty Free is offering all customers a chance to win one of the three Grand Prizes when making purchases of US$ 150 or more at any of its outlets. MasterCard cardholders making purchases at Qatar Duty Free will also receive an instant ‘Scratch and Win’ card for instant gifts, as well as double their chances to win one of the three Grand Prizes. The Grand Prize package includes:- one Business Class return ticket to Doha on Qatar Airways, full board hotel accommodation for two nights at the Oryx Rotana Hotel and a US$ 20,000 Qatar Duty Free shopping voucher. 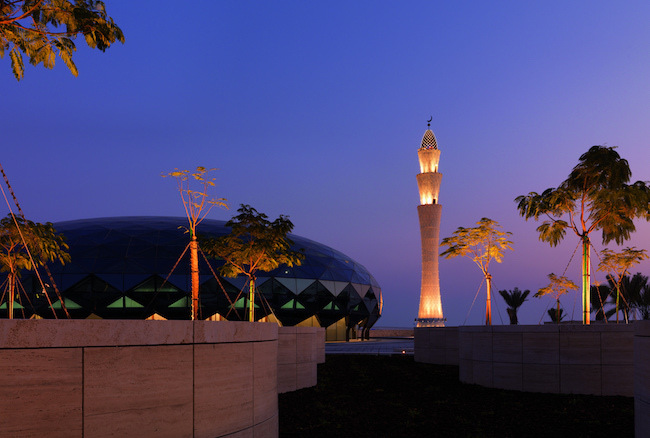 Residents of Qatar have the chance to win a US$ 25,000 Qatar Duty Free Shopping voucher. The instant ‘Scratch and Win’ prizes include tickets for the ‘One Million Dollar Qatar Duty Free Draw’ at Doha International Airport, Qatar Duty Free discount coupons, Samsung Netbooks, mobiles phones, gold coins and travel accessories. 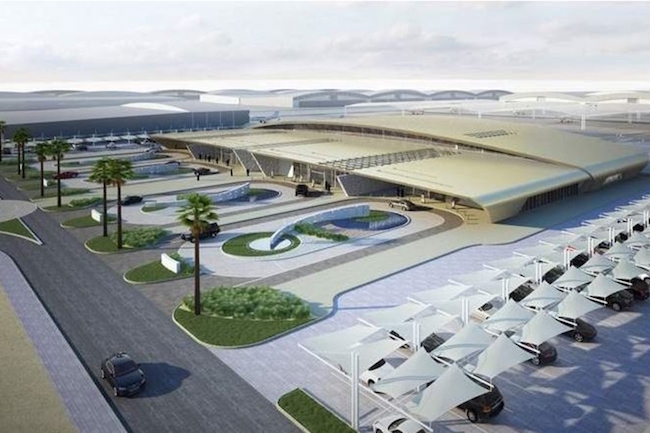 “Qatar Duty Free is one of the Middle East’s most outstanding success stories in recent years and we are happy that this promotion has recorded huge success,” said Qatar Duty Free Senior Vice-president Keith Hunter.